The best organizations and leaders create cultures that engage and harness the diverse ideas, talents, and abilities of every person; one where challenging assumptions and the status quo drives extraordinary success. 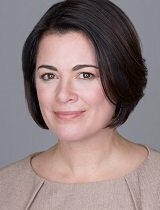 Nicole Malachowski knows about high-performance cultures and challenging assumptions. As a member of the elite United States Air Force Thunderbirds flying demonstration team, the first woman to do so, Nicole was part of a team that demanded flawless execution under extreme circumstances because lives literally depended on it. Yet, it would be wrong to define Nicole by simply labeling her the first woman Thunderbird pilot – and that’s the point. In order to create a culture that challenges assumptions, it’s important to look beyond the obvious – beyond unconscious bias. In Nicole’s case, the Thunderbirds were just two years of an exceptional 21-year Air Force career during which she became a White House Fellow and adviser, served at the Department of Defense, was a mission-ready pilot in three operational squadrons and a fighter squadron commander, and served as a combat pilot. As an Air Force leader, Nicole constantly challenged assumptions by matching people’s values with the job to be done. In this talk, Nicole draws on her distinguished career to offer inspiring lessons for leaders and followers.